If you want to buy a Hoverboard, you have probably discovered that there’s an overwhelming variety of products at all price points. Hundreds of companies sell Hoverboards online and it’s difficult to figure out which brand is the best value. Great guide if you want to buy a Hoverboard today. You can buy a Hoverboard directly from the manufacturer or through an independent website, but your best bet is to buy via Amazon because you can take advantage of the e-tailer’s generous return policy if the product is defective or doesn’t meet your expectations. After battery-related safety problems surfaced in 2015, the company cracked down on sellers who offered dangerous Hoverboard knockoffs. Amazon hoverboards has an excellent selection of different manufacturers. Regardless of your budget, buy only if UL 2272 certified – this means that the drive train, battery and charging system have been evaluated for safety. Remember those kick scooters that were popular back in 2001? Now, you can buy a Razor Hoverboard for approximately $300. The Hovertrax is a dynamic product from a trusted company. With dual 350-watt motors, it’s not quite as powerful as some models, but it’s an excellent all-around choice. The dramatic video ad is a must-see. 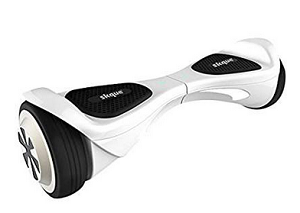 You can buy a Hoverboard from Skque starting at $250, but some high-end models cost up to $400. These self-balancing scooters are equipped with two 350-watt motors for a top speed of 7.4 mph and a range of 12 miles on flat terrain. Skque Hoverboards have upgraded charging systems, LED headlights, Bluetooth speakers, reinforced frames and improved sensors. Customer service is available by phone and email. 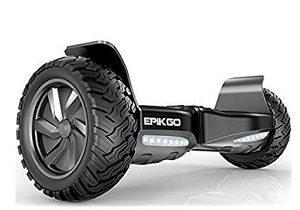 The list price for most Epikgo Hoverboards is a whopping $799, but you might find better deals on Amazon.com. These beefy Hoverboards have large 8.5-inch tires designed for grass and irregular surfaces. They’re 30 percent larger than most models and significantly heavier, so they’re equipped with dual 400-watt motors. 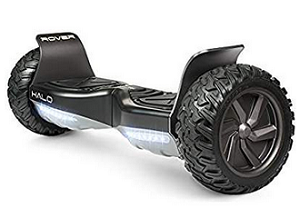 At roughly $600, the Halo Rover is the Cadillac of Hoverboards. 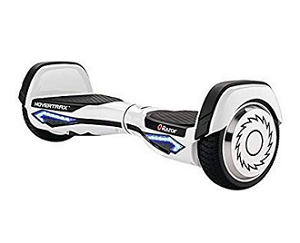 This premium Hoverboard has received numerous best-of awards. Halo Rovers meet all UL 2272 requirements and come with factory-installed LG batteries. The riding speed and range are excellent. You can switch between riding modes for your skill level. The unit is weatherproof and features textured 8.5-inch tires that grip all surfaces. Additionally, check out Hoverboards from brands like Genesis, Hype and PowerOnBoard. These products start around $300. Hangzhou Chic Intelligent Technology sells self-balancing scooters under the brand names Surfus, Chic Robot and IO Hawk. If you’re willing to give up stateside customer support, it costs less than $300 to buy a Hoverboard from this company. 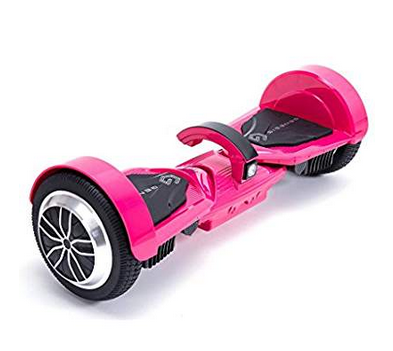 Most Hoverboard manufacturers offer several color choices, including gray, white, blue, lime green, red and pink. You can also find limited edition graphic prints, vinyl decals and removable silicone skins that let you personalize it. Each manufacturer has different color options and finishes that you can select when you buy hoverboard online.